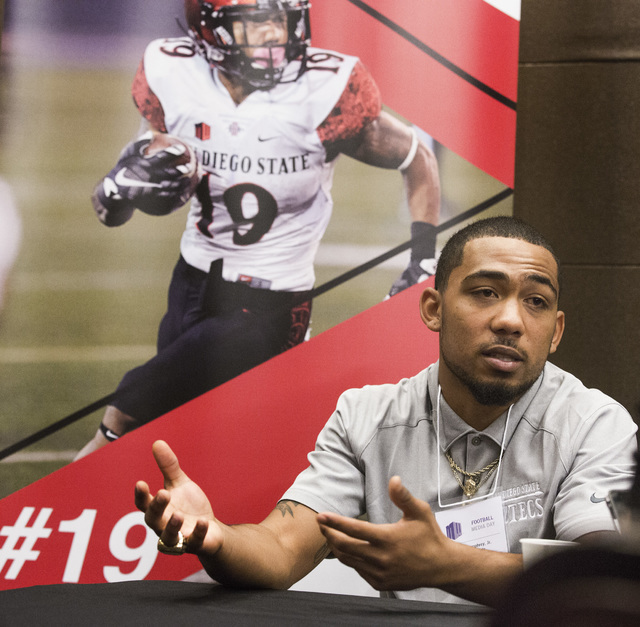 San Diego State senior running back Donnel Pumphrey is the nation’s active leader in rushing yards (4,272), rushing touchdowns (45) and all-purpose yards (5,145). He attended Canyon Springs High School. 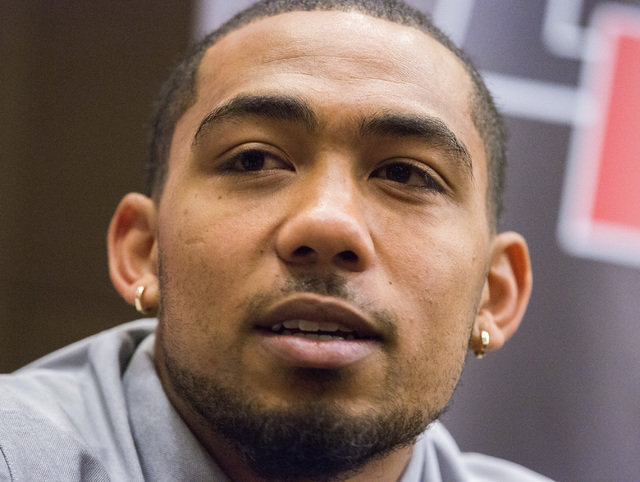 Donnel Pumphrey is part of a unique family tree at San Diego State that has roots in Las Vegas. UNLV under San Diego State offensive coordinator Jeff Horton, whom he refers to as “Big Daddy” and who recruited Pumphrey to the Aztecs. The senior running back leaned heavily on Cooper for support and guidance on Senior Night at Canyon Springs on Nov. 2, 2012 — the day his daughter, Maliya, was born. Cooper recalled the night Pumphrey — a stellar student and student council member — became a dad. 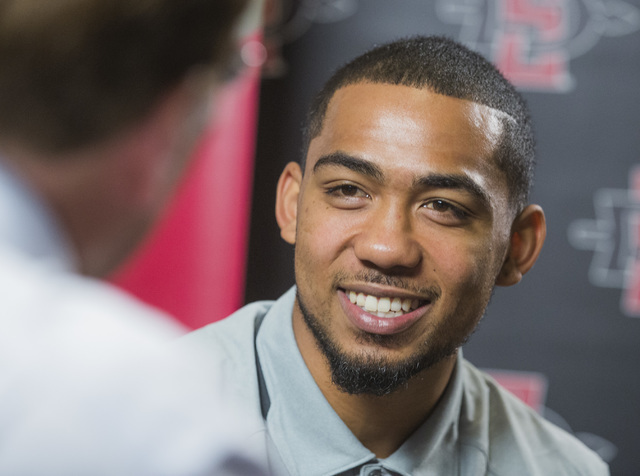 The nation’s active leader in rushing yards (4,272), rushing touchdowns (45) and all-purpose yards (5,145), Pumphrey said Maliya has inspired him to heights he never imagined coming out of Canyon Springs, when most schools, including UNLV, thought the 5-foot-9-inch, 180-pound speedster was too small to excel at college football’s highest level. 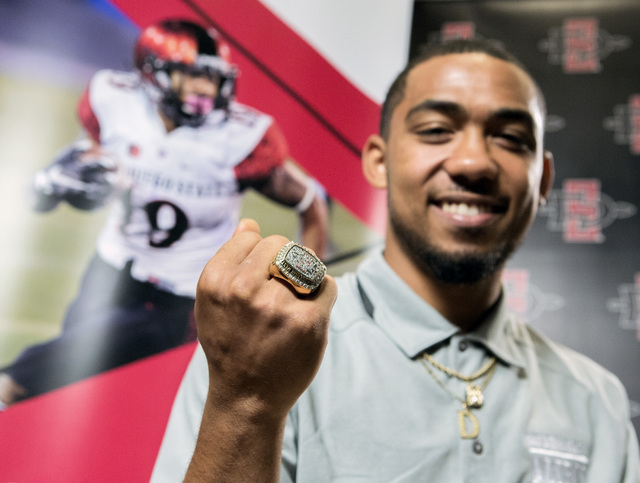 A plethora of positives appear to be on the horizon for Pumphrey, who is on pace to shatter Pro Football Hall of Famer Marshall Faulk’s career records at San Diego State for rushing yards (he needs 318), all-purpose yards (needs 451) and 100-yard rushing games (needs one). He could break Faulk’s marks for touchdowns (needs 13) and rushing TDs (needs 13) for a defending MW champion Aztecs squad that was the unanimous pick to win the West Division. San Diego State owns a 10-game win streak — the nation’s second-longest behind Alabama (12) — and returns 14 starters, including reigning and preseason MW Defensive Player of the Year Damontae Kazee and reigning and preseason MW Special Teams Player of the Year Rashaad Penny. 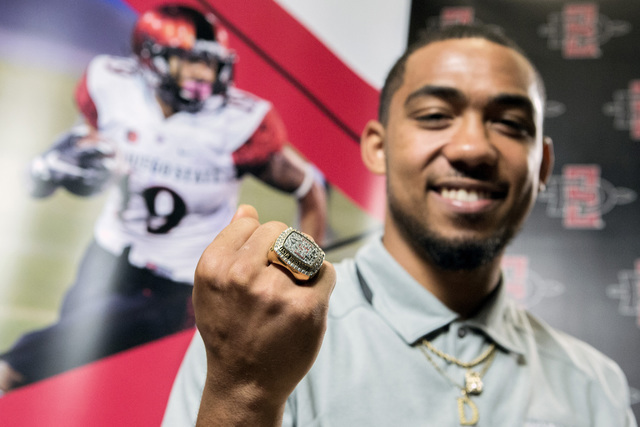 The only player in the country since 2013 to combine for at least 4,000 yards rushing and 800 yards receiving, Pumphrey is on the Walter Camp award watch list as college football’s most outstanding player. The Westgate sports book doesn’t list him among 34 players it has odds on to win the Heisman Trophy, but his coaches believe he’s a deserving candidate. 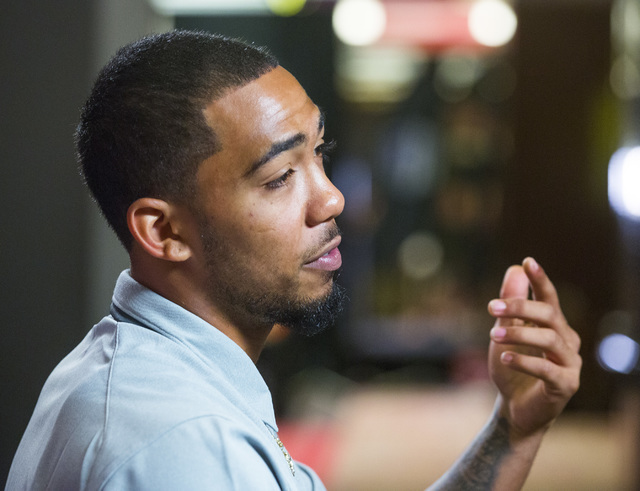 Horton said he would put Pumphrey “against any back in the country,” but said playing in a Group of Five league whose games mostly air late at night on the East Coast hurts his chances. “We kick off at 7:30 on Saturday night. Most East Coast guys are settling in their recliner and have been drinking and are ready to pass out,” Horton said. “That doesn’t help us. He’s a long shot at best, but that’s not the reason he came back. While Pumphrey likely won’t strike the Heisman pose this season, he’ll gladly settle for striking a more meaningful pose for his daughter each time he reaches the end zone at Qualcomm Stadium.